Norwegian black metal titans ABBATH have just dropped "Harvest Pyre", the first single from their upcoming sophomore release, Outstrider, which is due on July 5. The song and accompanying music video can be seen on KNAC.COM HERE. The cover artwork, which created by Kim Holm and Olav Iversen, and the track-list for Outstrider can be found below. When Abbath announced that he had left IMMORTAL, it sent massive shockwaves through the metal scene. The iconic frontman had long become the "face" of the Norwegian black scene, his image synonymous with the genre. Upon releasing his debut album with his eponymous new band, ABBATH, in 2016, trve fans were satiated with a dose of icy, blackened fury. Now, the Norwegian giant returns for round two, armed with a refined lineup and ready to strike with a sophomore effort that is sure to once again exceed the expectations of ABBATH’s loyal fanbase. Outstrider sees a maturation in sound, delivering a tighter, well-rounded offering from the band as they come into their own identity. While there are moments that certainly channel the frosty hallmarks of IMMORTAL, there is no danger of ABBATH repeating that formula. 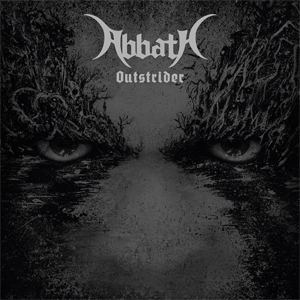 ABBATH draws from NWOBM and melodic influences, adding a fresh new flavor to the sound that the band’s founder came to define. Oustrider consists of eight, crushing original songs and concludes with a fiery BATHORY cover. The album promises a full-on aural assault from start to finish with frigid riffage and a robust pocket that are layered with vocals from one of the most identifiable voices in black metal. If you thought ABBATH came in hot with their last record, just wait until you hear this!